← Singapore Shaken By Loud Groans Coming From Dormitories Across The Island When Jokowi said: NO MORE INDON MAIDS FOR YOU!! 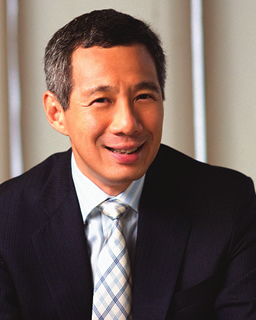 SINGAPORE: Prime Minister Lee Hsien Loong has been diagnosed with prostate cancer, the Prime Minister’s Office (PMO) announced in a media release on Sunday (Feb 15). Mr Lee will undergo surgery to remove his prostate gland on Monday at the Singapore General Hospital. Mr Lee is expected to recover fully, the PMO said. Patients with a similar medical profile and treatment have a cancer-specific mortality rate of 1 per cent at 15 years. Prostate cancer is the third most common cancer among Singaporean men according to the Health Promotion Board. It develops when tissues in the prostate gland – a gland in the male reproductive system – turns cancerous. Common treatments for it include radiation therapy, hormone therapy, surgical removal of the prostate gland and chemotherapy.